CHARLIE’S UPDATE, JANUARY 28: The news is still grave concerning Charlie. What seemed hopeful over the weekend…an increase in platelet levels…has now reversed. Charlie’s red blood cell count is also decreasing. Charlie continues to put on weight and is at 43.8 pounds currently, much better than the 38.2 pounds he weighed when he was admitted to the SPCA last week, but SPCA Chief Veterinary Officer Dr. Helene Chevalier still reminds us that internally, his condition is very serious. A second blood transfusion may be in Charlie’s future as soon as this week, and Dr. Chevalier is awaiting the results of new blood work she has submitted. The treatment plan will change to reflect the results that arrived today, and immunosuppressant therapy will be put in place. While Charlie doesn’t appear to have cognitive dysfunction, he is not as bright today as he was over the weekend, although he’s still perpetually wagging that tail. Dr. Chevalier and Veterinary Assistant Jen Thoman worked with Charlie today, checking his wounds and re-bandaging his legs, as you see in today’s photos. We’ll continue to keep you posted on his progress, and again, thanks to all of you for your love, well-wishes, prayers, and concern over this sweet boy…he needs every one of us pulling for him. 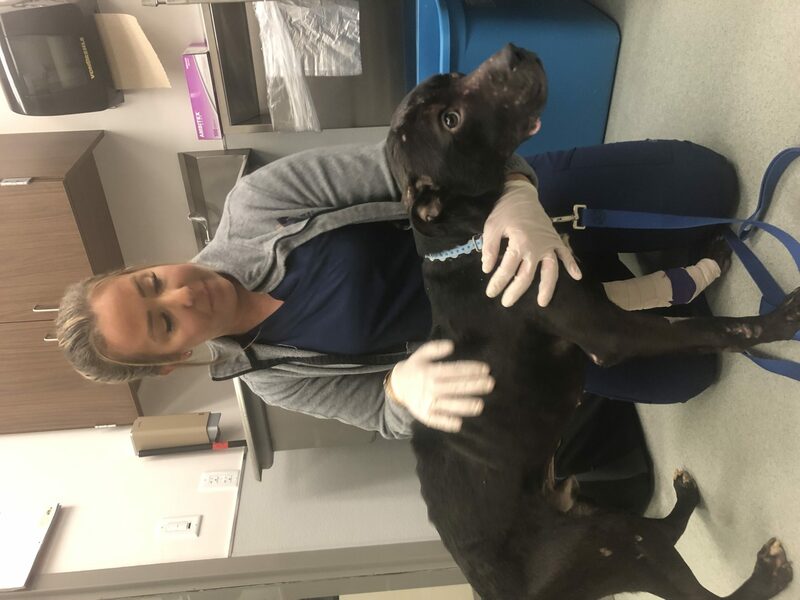 The reward fund for information leading to the arrest and conviction of those responsible for harming Charlie has grown and currently totals $1475. We will keep you all posted on changes to the reward fund total as SPCA Serving Erie County animal cruelty officers continue the investigation.